The Amahi UK990 Ukulele is a concert sized ukulele. 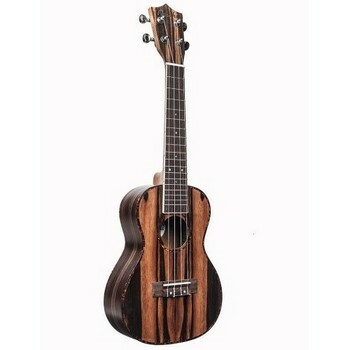 The top, back and sides are made from laminated ebony, giving this ukulele a distinct and unique look. Features include a satin finish with silver die-cast tuners.